St Tropez has achieved a mythical status and is one place on the French Riviera that everyone wants to visit. The fact that the town faces North on the French Riviera and the excellent climate are reasons why artists such as Matisse and Bonnard were attracted by its wonderful light. Needless to say, this quaint old town with its pink houses is overwhelmed by visitors during the summer season and for some, its best visited out of season. In 1959, Roger Vadim shot the film And God Created Woman in St Tropez with Brigitte Bardot as the star. The rest is history. At the centre of the town is the old port edged by its chic cafes. Most of the shops are located in the narrow streets near the port. In the old quarter of La Ponche you will find some of the remaining fishing boats and further out from the town stands the Citadel surrounded by a wall and moat. Without a car St Tropez is not the easiest place to reach after you arrive at Nice airport. If you are travelling without too much baggage and don’t mind a long transfer time then there is a bus from the airport. You could time your trip to catch the boat from Nice to St Tropez athough the service is basically a tourist day trip there and back. It would be best to contact the boat operator Trans Cote D’Azur. The link below will take you to their site. 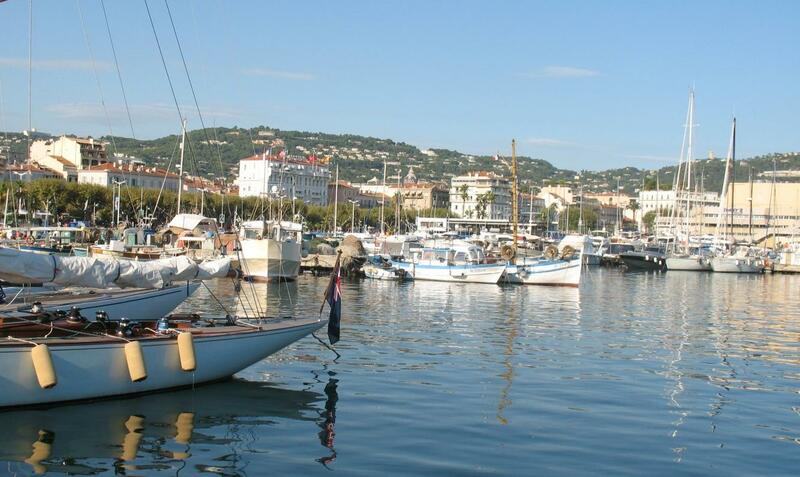 An alternative is to travel along the coast to St Maxime where there are regular ferries to St Tropez. The site http://www.bateauxverts.com/ gives full details. There is also a bus service which runs from St-Raphael to St Tropez. A regular train service runs from Nice to St-Raphael. Details of the boats from Nice and Cannes to St Tropez can be found at our Ferry Boat page. The boats are really for day trips from Nice and Cannes which allow about 4 or 5 hours in St Tropez to look around. However, you may be able to speak to the operator and arrange to go on one day and return on another. This would allow you to book a hotel in St Tropez for a couple of nights. One thing you should be aware of is that the famous Pampelonne beaches are quite some distance out from the town of St Tropez. They are almost 4 miles out of St Tropez and are part of the neighbouring area of Ramatuelle. You will get a good idea of how far the Pampelonne beaches are from the town by searching Google maps and having a look at Street View for the area. You will see the route from St Tropez to Tahiti beach and to Club 55. You could take the expensive mini cab journey to reach the beaches but of course you would have to arrange to get a taxi back again. If you really want to see all the beaches it may be an idea to stay in St Tropez for a few days and hire transport out to the Pampelonne. The Hotel Sube, 15 Quai Suffren, 83990 Saint-Tropez and Hotel La Ponche, Rue des Remparts, 83990 Saint-Tropez are reasonably priced hotels in the town centre. Hotel Sube It’s directly over the Café de Paris bar and from the Hotel Sube bar you have a great view over the harbour. As mentioned above, for those who are staying at Nice or Cannes then there is a boat which takes you to and from St Tropez. The service is run by http://www.trans-cote-azur.com/ and the trip gives you about 5 hours in St Tropez. Not enough time to visit the faraway beaches but enough time to have a look round the town and have lunch there. Many fims are set on the Riviera. The 1956 film And God Created Woman launched Brigitte Bardot into the public spotlight. Full travel, hotel and resort information for the chic and famous resort of St Tropz on the French Riviera, Cote D'Azur.